Here is something all of us can do better. We can hold our loved ones a little closer. Make a phone call, send a text or even an email. I bet the majority of people have a family member or members who they love dearly but just never talk to, or never see. The reasons we don’t, right now don’t matter. What matters is that we try harder to love one another. When someone passes away it’s always said, “you never know when it’s someone’s time, always tell people you love them”. But let me take this further. Maybe you do say I love you. But maybe that’s not what you or that person needs. Maybe you need to be an ear. Maybe you need to just call to say hi and I’m still alive. Maybe you need to physically be there. I’m thinking about this right now because my grandmother has passed away. This is my first grandparent to pass away. And it’s made me realize a few things and think a little harder. Maybe what I have to say will mean something to someone somewhere. It’s this selfish thinking that got all of us in this predicament, in this slightly altered, messed up world we now own. I feel like somewhere along the lines we were tricked into thinking only about ourselves and by doing that, we were taking care of ourselves and others. Its like a wolf in sheeps clothing. We have heard “do what makes you happy, you are special” so much it’s created a world where no one listens to the person next to them because they are just thinking about what they want to say next. Or they are thinking about how they can belittle you, or argue with you, or how they can say they are offended. This form of selfishness can come in the form of someone who does nothing or someone who thinks they are doing everything, waiving their arms in the air emphatically for the cause but really when it comes down to it, it’s just so that people are looking at them. Now- disclaimer- that last paragraph does not have anything to do with my family. But my own selfishness has lead me to think about things like this. Disclaimer 2- we all should be happy and we are special. But it’s how we get here that counts. Maybe, I’m making no sense and I really do not do my best writing on my iPhone. But I wanted to put it down on paper… errr…cloud? Obviously we can’t all start spending all our time checking in with long lost people. However, we can spend some of it. We can start to realize how selfish we are. We don’t have to stop doing things that make us happy either but we should check our motivation. I think that sounds weird…. what I mean is that in order to truly be happy we must give of ourselves to others. You probably feel happy after doing a good deed. Would you feel happier if you didn’t even think about it and it was your nature? My big point is- what if we were all like that? I don’t think we would have the problems in the world that we do. And if your following along in agreement then you can read more about it in the Bible. And if that makes you angry or you say Christians make you angry then those people (the Christians who make you angry) are not following the gospel. They are using it to perpetuate their own selfish agenda. Full circle right there people. Ok. So. That turned into a rant that I’ll just leave right there…. Some of you reading this knew my sweet grandma. She was wonderful and taught me a lot growing up. She was the one I would run away from home to. We found a travel journal she kept and I have been reading it and wish I had realized before just how much we were actually alike! I see my granny a lot in myself but now I see her even more, which also means I see even more of my mother in me as well. None of these things are bad things. I’ll end on the cliche… tell your loved ones you love them! Go call them. Go spend a little time with them. Hold them closer. 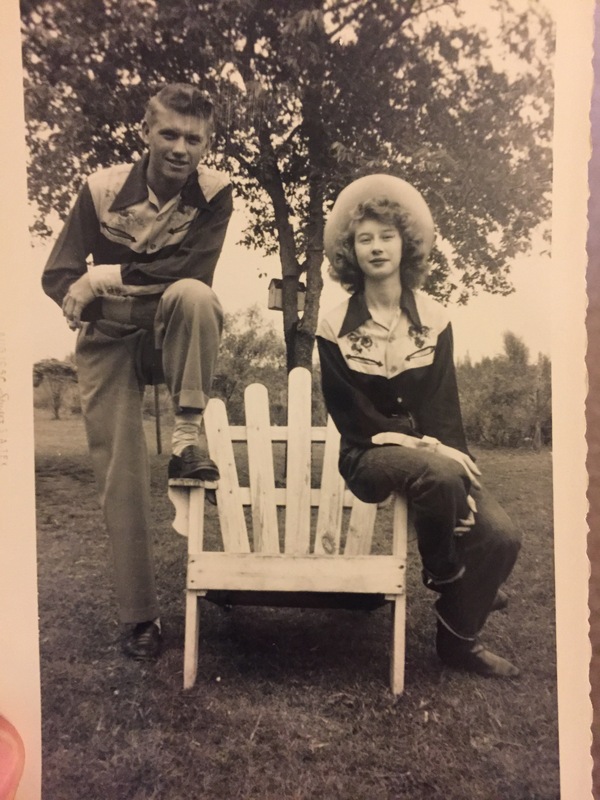 Here is my favorite picture of my granny dressed up for the Battle of Flowers Parade with her brother Herman! 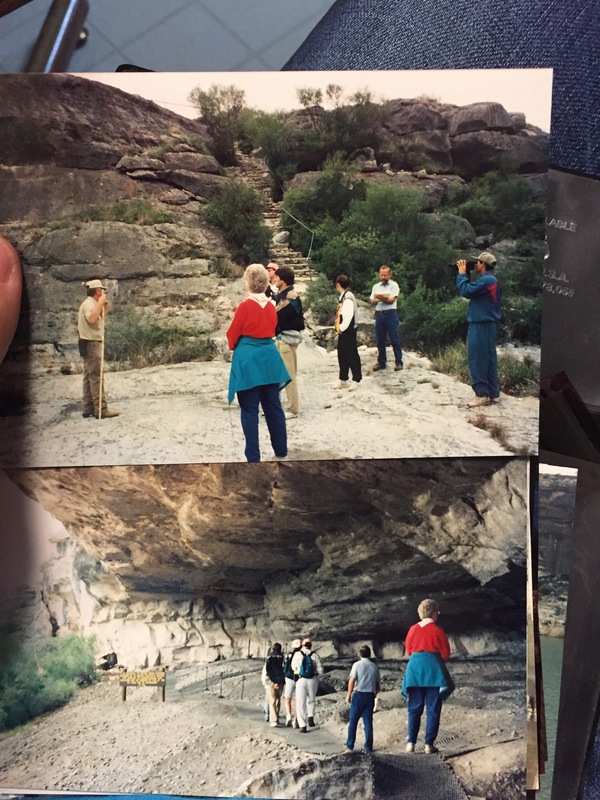 Also, how cool are these pictures of her on the rock art tours that I now give!! Ha! Oh, Sheena, I am sorry for your loss. I can tell you are and will continue to hold your grandmother close in your heart and mind. Shenna, this was beautiful. You are a very deep and caring young lady, not to mention an excellent writer. I am very sorry for your loss. Please extend my condolences to your family. I’d love to read that journal sometime.